When did viticulture start in the Azores? 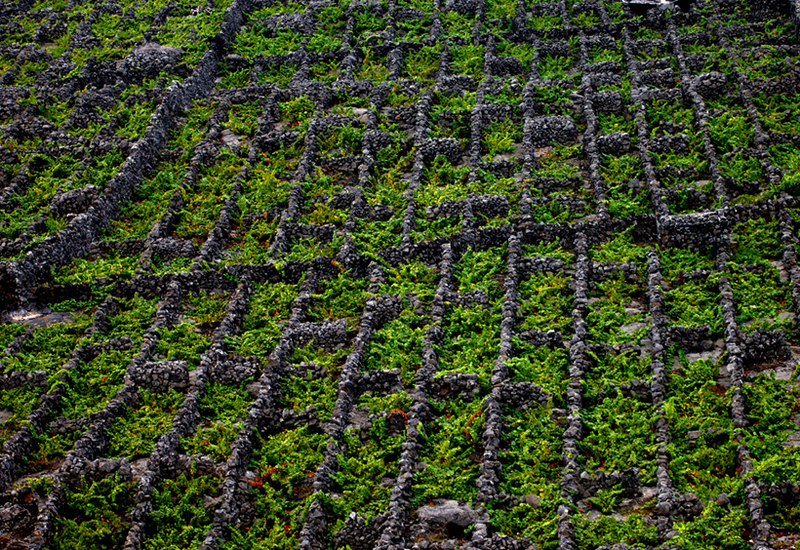 Viticulture started here on the Azores ca. 500 years ago, middle of 15th century with vines brought in by monks from South Italy and Greece. It was the time of the little ice age in Europe and people were looking for new regions for growing vines. What are the main grape varieties and trellis systems? Due to the remote situation of the Azores quite some indigenous varieties developed: on the white side we are growing nowadays mainly Arinto dos Açores, Verdelho, and Terrantez do Pico – genetically different from the varieties with the same name on the continent or in the case of Verdelho, thought as originated from the Azores and found all over the world now. Black grapes are mainly Merlot and Syrah, to a lesser extend indigenous Saborinho and Cabernets. 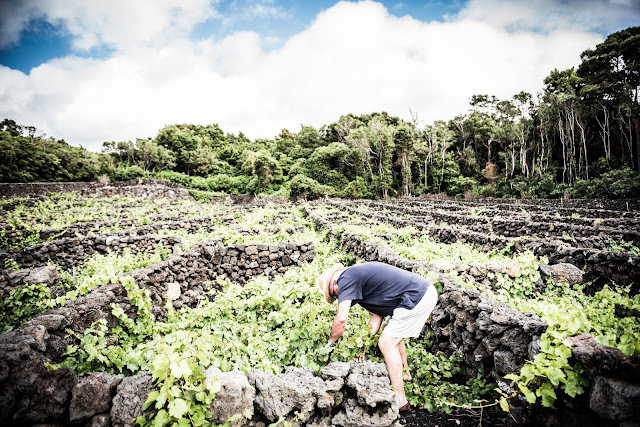 There is hardly any trellising as such, most vines growing in a traditional style as bush vines, protected in little stone squares (“currais”) of 10-20m2 surrounded by walls of 1-1.5m of lava stones. Being exposed to a maritime climate, really strong winds and rain showers are a permanent threat to the viticulture here. Were the fortified wines of the Azores widely exported overseas like Madeira wines back in the 17th century? Fortified, liquor wines – and its erroneous to call them sweet wines, they can be everything from very dry to sweet, from 4g/l to 120g/l of (residual) sugar – were exported as far as USA, Canada, London, Hamburg, St. Petersburg. Export routes followed Madeira wines or fortified Sicilian wines, indeed they were sold quite often as Madeira wines. How did phyloxera change viticulture in the islands? Phylloxera (and a bit earlier powdery and downy mildew) hit the islands hardest by ca. 1860-70, earlier than in other European regions, and rapidly decreased yields. Vineyards were abandoned, and some tried to save a bit with American hybrids, like anywhere in Europe. Unlike anywhere in Europe, these hybrids play until today an important role in our viti- and viniculture. Since 1950 large efforts were undertaken to recover and replace abandoned vineyards with noble and indigenous varieties, red and white. How do the volcanic Terroir and the climate influence the wines? 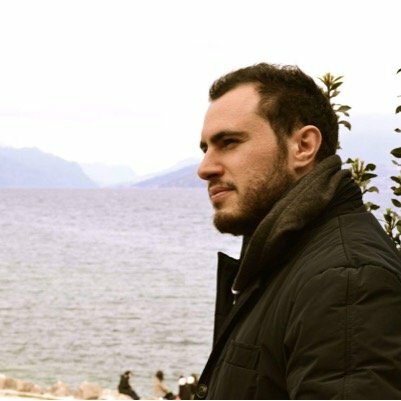 The Azores are mainly a cool climate region, dominated by a maritime climate and vines growing mainly on and in rocks (basaltic lava). Wines are influenced in a way that they can be characterized by their salinity and minerality, high acidity, and fine floral and/or fruity flavours. What is altitude of the highest vineyards in the Azores? Most vineyards are situated starting directly at the coast line in a strip of up ca. 500m from it. Altitude isn’t really given, 5-150m max. 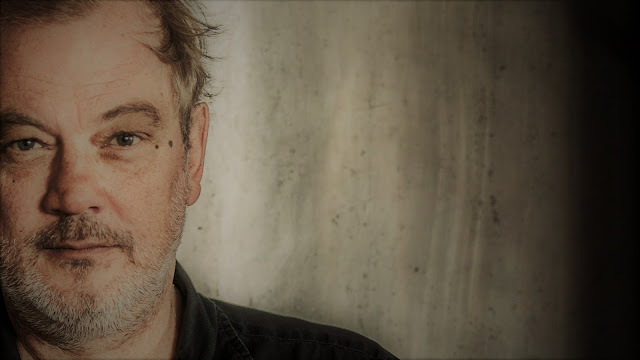 When was PicoWines founded and how did it change since its inception? The Coop-Picowines was founded in 1949. Initially producing the once famous liqueur/fortified wines, over decades still table wine got much more important. Nowadays 90% of our wines are table wines, of them 70% whites. Starting from 8 members in 1949, we are counting now 250 members, and still growing. Lots of EU and government funding went and is still going into the local viticulture, attracting more and more people and their investments. 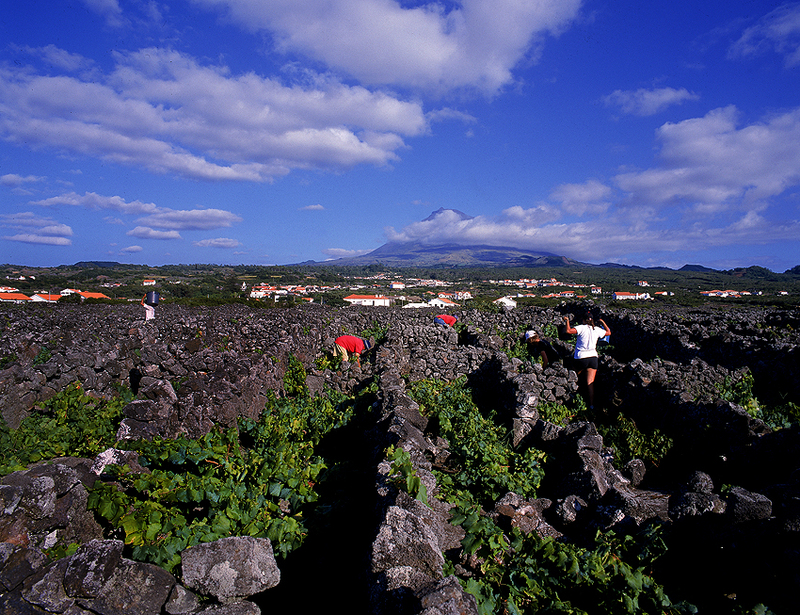 Picowines was and is the by far largest producer and plays a most significant role in the Azorean wine world. 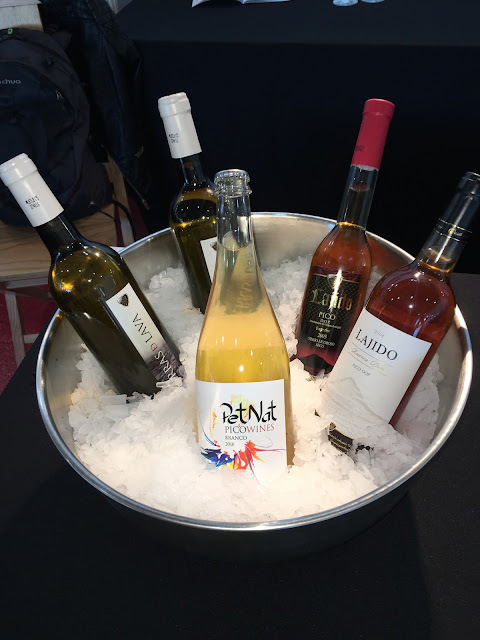 New products are arising, like our PetNats, traditional sparkling wine, and improved reds and fortified wines. 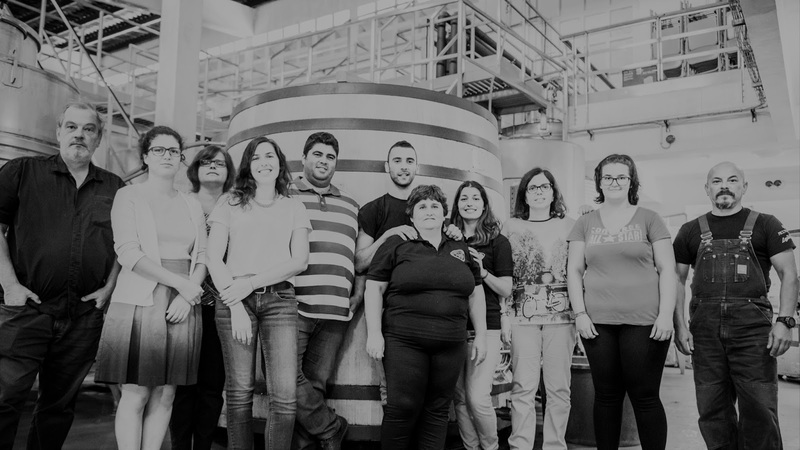 How much Azores wine is exported and what are the main export markets? Exports were low the last decades as all wine can get sold locally due to raising tourist figures. Since two years now we try to internationalize in Central Europe (wines available via Compiri), Scandinavia (via Nb Group) USA (via Jmoniz) and Canada. Our exports should be this year around 20%. Our goal is it to achieve a healthy mix of one-third in local, export and direct tourist sales.